There are so many animals to meet in the Marine Life: from seahorses and sea turtles to octopuses. 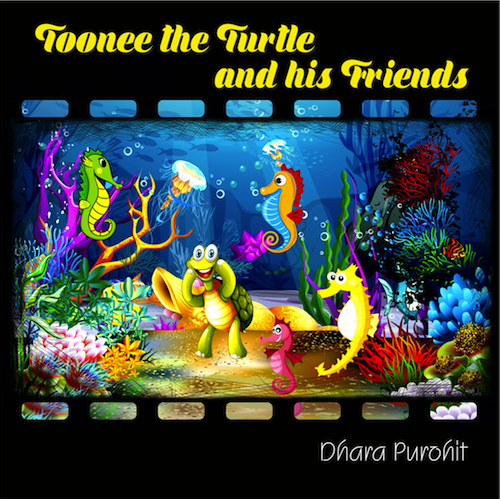 Toonee the Turtle and his friends introduces readers to the marine creatures, their environments, their lifestyles, characteristics, and just about anything else you might want to know! Did you know octopuses can be great detectives? Why Well, because they have 9 Brains. 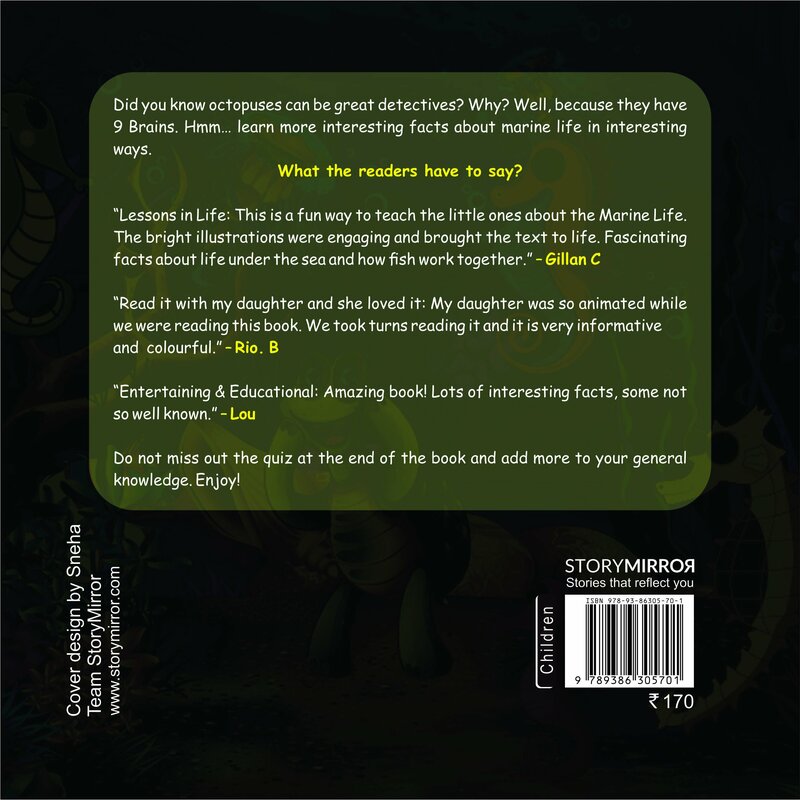 Learn some more interesting facts in interesting and funny ways to teach the little ones about the Marine Life. There are very informative bright and colourful illustrations that are engaging and have brought the text to life. As all this unfolds, young readers will delight in fun sound effects, and the book is brimming with both realism and whimsy. It’s been a year that Dhara has embarked on her journey of writing, after exploring the avenue of architectural practice and entrepreneurship close to a decade. This is her first children’s book. Apart from writing, she loves drawing doodles and blogging.